Our Baseball Figure stress balls will hit a home run with your sales! You can pose these baseball figure stress relievers and squeeze them when you need to release tension. Put a custom imprint on a baseball figure stress ball and hand them out at ball fields, tournaments and special events. 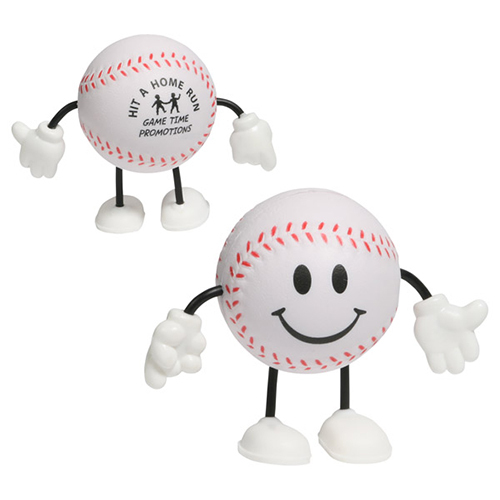 These baseball figure stress relievers are fun promotions that will get your message moving.